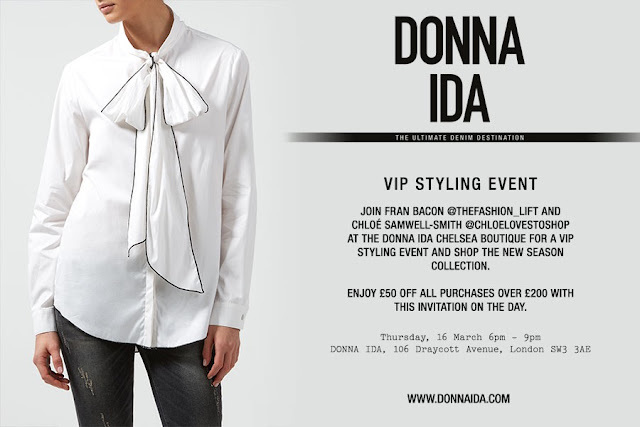 The Fashion Lift: Donna Aida Event - The Pieces I Have my Eye on.. Style Theory: I am so excited to be hosting a VIP styling event with Chloe (ChloeLoves to Shop) at one of my favourite London Boutiques Donna Ida in Chelsea. Chloe and I would love for you to join us on 16th March from 6pm until 9pm for a browse and a glass of bubbles. Donna Ida has the best collection of branded and own brand jeans, stunning Bella Freud Sweaters and fab own brand blouses.. 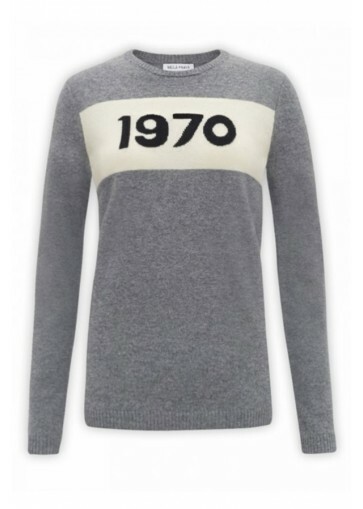 The good news is you get £50 off all purchase over £200 on the day (in store only I am afraid) ..That Bella Freud sweater you have had your eye on may not be so eye-wateringly expensive!!! Chloe and I will be on hand to give style advice and maybe help you find that perfect pair of jeans, or just have a good old gossip with you!! I have picked a few of my favourite items from Donna Ida below..but there is so so much more.. 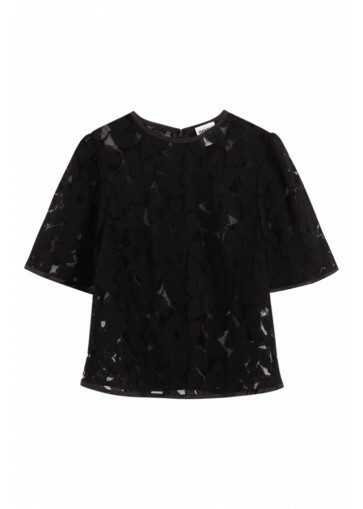 This will look gorgeous in the summer with pale blue ankle length jeans and white trainers or strappy tan sandals. 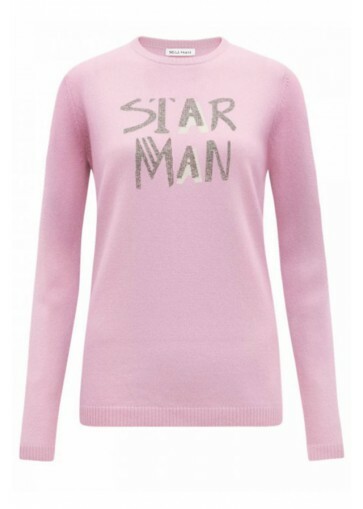 Pure luxury, this cashmere jumper will go with everything from jeans to glittery sequin skirts and heels. I am a huge fan of Maison Labiche tees, the quality is amazing, they are soft but a decent thickness and are super flattering on. 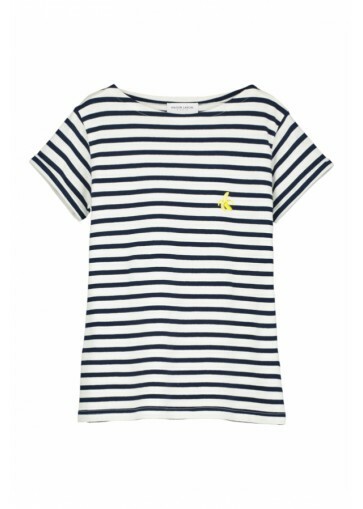 Love a breton stripe this would be a fabulous addition to a summer wardrobe. 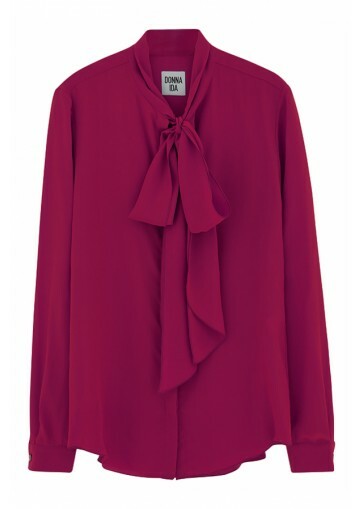 This 100% silk blouse is luxurious and the most fabulous colour against any skin tones. 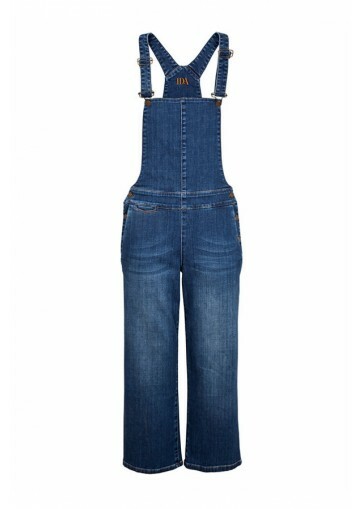 It looks just a good dressed down with dungarees and boyfriend jeans as it does for work with tailored ankle length black trousers and heels. 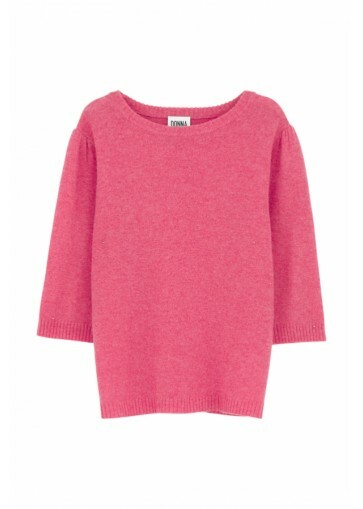 Pink cashmere heaven. This will look amazing with blue levis denim shorts in the summer and pale tan flat strappy sandals. 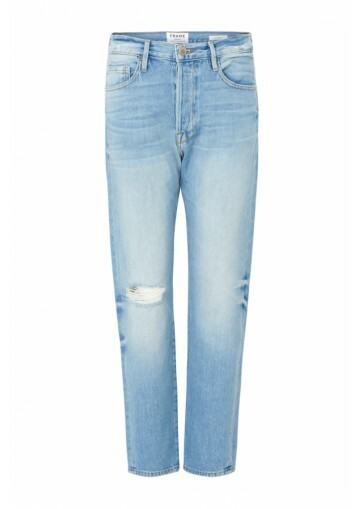 The most perfect boyfriend jeans I have ever tried on. They are super expensive (but if you pop along on the 16th 6-9pm you will get £50 0ff!) 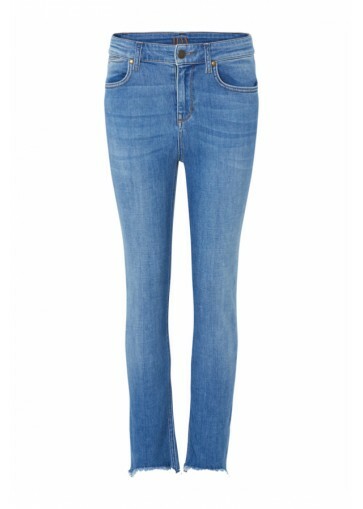 they are the perfect colour of washed blue, not too much stretch and super flattering on. 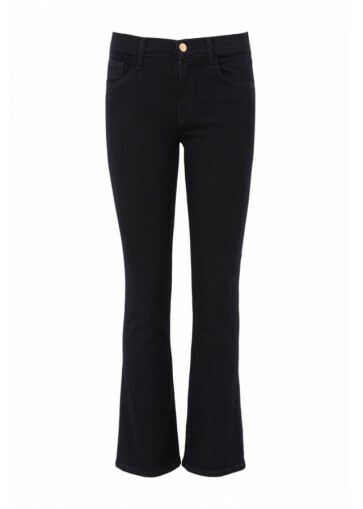 Perfect turned up with heels and a blouse, these jeans will be your go to for every evening out. I think I sized down one size in them. My fave brand and cut of jeans ever!! I have these in black and two shades of blue and wear them every day. They are so flattering and comfortable and finish at my ankle so look great with trainers. The same Selena shape but with more of a flare (therefore ankles look alot skinnier!) The pale blue wash is perfect for Summer. Just team with the stripe tee above and a pair of Veja trainers for a cool (and very 2017) summer look. As the sun starts shining I tend to be drawn to the lighter wash of jeans. These cropped, straight jeans are flattering and the higher waist is great for a more flattering look over the tummy area (holds it all in!) 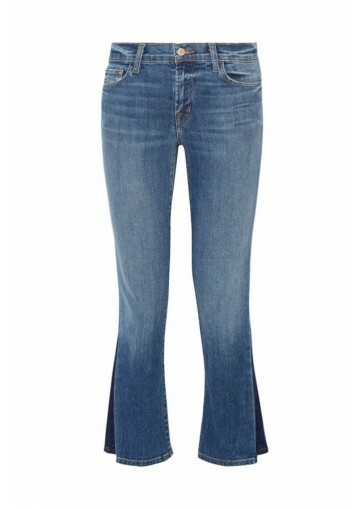 The unfinished hem gives these jeans an edgy look but again they will be fab dressed up or down.. I was looking at these last season now they are reduced to £39 and are perfect for the summer with a pretty summer blouse and tan sandals or white supergas. I bought a similar top to this last season from Donna Ida and it had been my going out top almost every time I have been out, I love it, it is so easy to wear and looks fab with jeans or side striped trousers.. So there is just a small taster, there are so many more gorgeous items in the boutique and we will find you the perfect pair of jeans, that fit flatter and look cool, Donna Ida is the jean queen after all! We would love you and your friends to join us this Thursday, 16th March, Donna Ida, 106 Draycott Avenue, SW3 3AE 6 - 9pm for a glass of bubbles and a chat!! Thank you for sharing this post here. I could collect each product information. I could collect each product information.